All things imaginative and bohemian are Etro signatures - the brand's Resort '19 collection is inspired by Ian McEwan's children's book, The Daydreamer. 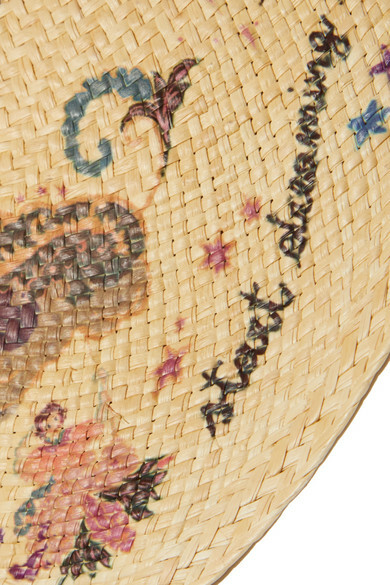 This hat from the lineup is printed with whimsical patterns along the brim, along with the phrase 'start dreaming and dancing'. A lustrous blue grosgrain ribbon frames the molded crown. Shown here with: Zimmermann Jumpsuit, Sophie Buhai Earrings, Monica Vinader Necklace, Alighieri Necklace.